In this next series of blogs, we’ll be taking a closer look at brand new offerings from onOne Software, which can all be found together in the new Perfect Photo Suite 6.
onOne are a leading specialist in photographic and image enhancement software, producing a wide range of plug-ins for use with Adobe Photoshop, Lightroom and Aperture. Easy to use programmes are ideal for professional digital photographers, graphic designers or printers, making the sometimes difficult task of image editing as simple and quick as possible, making your workflow more productive. You may already be familiar with some of the range, particularly the popular Plug-in-Suite 5, PhotoFrame and PhotoTools. And now, there’s a whole new range of editing software to get stuck in to. Perfect Photo Suite 6 contains 4 all-new pieces of software which you can also purchase as standalone items: Perfect Effects 3, Perfect Portrait 1, Perfect Layers 2 and Perfect Mask 5 are brand new, and accompany Perfect Resize 7, PhotoFrame 4.6 and FocalPoint 2 in the collection. Perfect Effects is the next generation of the already popular PhotoTools range, and is a fast and easy way to create images with ‘impact’. Used with Lightroom, Aperture and Photoshop – or as a standalone application – you can choose from over 300 professional photographic effects which can be previewed before applying to the image using the ‘Live Preview’ feature. You also have the ability to ‘stack’ multiple effects together – similar to layering – to create your own unique take on the effects. A blending feature helps integrate effects together, giving you more control over your images. You can also limit effects to specific colours or tones. New manual controls mean you can further adjust colour strength, texture and tone to get the style you want. Vintage Effects are all the rage at the moment, as are software and applications that give the look of traditional photography through digital effects. Perfect Effects offer you a host of stylised retro effects to get that old-school, grainy and textured look. A great tool for giving your images that extra impact and style. Perfect Effects 3 will be in stock very soon. You can learn more about it here. Next week, we take a closer look at Perfect Portrait 1. This entry was posted in Photography, Software and tagged Color Confidence, Image Editing, onOne Software, Perfect Effects 3, Perfect Photo Suite 6, Photography on October 28, 2011 by colorconfidence. It’s been a while since we posted a latest news blog on here, so we thought we’d share a few goings on and new products with you this week. In truth, it’s been a pretty hectic few months at CC towers, and with the lead-up to Christmas coming up and plenty of up-coming shows to prep for, the next few are only going to get busier! Yes, that means the run up to Focus on Imaging 2012 has already started – anybody going yet!? 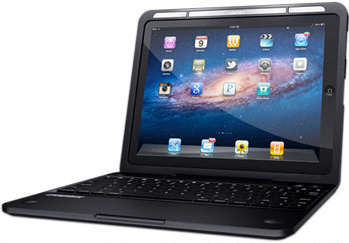 Laptop mode – using the Bluetooth keyboard – means you can easily enter large amounts of text into emails or spreadsheets. Movie mode is perfect for viewing videos or surfing the web, and carry mode allows you to close the case completely, securely protecting the iPad inside. Perfect for students, or for busy people on the go. Visit our page to see more details, and to watch a swish product video. We’re also pleased to announce the new Perfect Photo Suite 6 from onOne Software. Available from late October, all products in the suite now work as standalone applications too, in addition to working directly from within Adobe Photoshop Lightroom, Apple Aperture and Adobe Photoshop. Also, if you purchased Perfect Photo Suite 5.5 after August 07 2011, you can upgrade to 6 for free when it’s available in late October. We’re looking to do a special blog series about the new onOne range in the near future, so check back to get the Color Confidence angle on the new range. In the meantime, keep checking the website for the latest information and more details on the range. 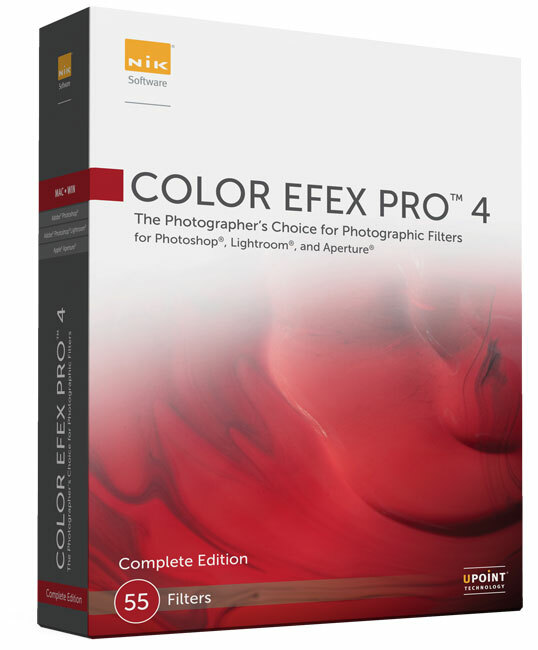 And finally, Nik Software have also been busy launching Color Efex Pro 4 which will be available at the end of October. It provides the most comprehensive set of enhancements for colour correction; retouching and creative effects Nik have produced to date. It includes 8 completely new filters, and 10 improved ones to give you greater creativity when editing your images. It’ll be available at the end of October, but if you purchase Color Efex Pro 3 now, you will get a free upgrade to 4 when available. Keep checking the website for more details. Hopefully, the above puns won’t be included. This entry was posted in Color Confidence, Color Confidence Range, General News, Industry News, Software and tagged Color Confidence, Color Efex Pro 4, Cruxcase, Nik Software, onOne Software, Perfect Photo Suite 6 on October 21, 2011 by colorconfidence. Viewing booths and lights explained. Part 5 – Main brands. GTI (Graphic Technology) – a comprehensive range of viewing booths to suit most requirements. GTI produce a range of viewing solutions and desktop booths, providing a larger illumination area than the desktop lamps. The PDV models offer A4 – A2 landscape illuminations. You can see the PDV range here. GTI also produce colour appearance booths for product assessment, otherwise known as the mini-matcher (MM) models. You can see this range here. Just Normlicht – precision viewing booths manufactured in Germany. Just Normlicht also offer a range of Large Format booths, Colour Appearance booths, Luminaires and Light Boxes and Tables. The entire Just Normlight range can be seen here. This entry was posted in Lighting, The technical stuff and tagged Grafilite, GTI (Graphic Technology), Just Normlicht, Light, Viewing Lights on October 14, 2011 by colorconfidence. Last week, we looked at how the size of print or item you’re using will affect what solution to get. This week – our third and final checking step – we take a further look at light source and illumination requirements. Before purchasing your solution, it’s worth checking what light source (or illumination temperature) you require beforehand. As we’ve mentioned in previous blogs, D50 daylight is the standard for viewing images or prints. This is also the light source generally supplied as standard by manufacturers, unless D65 (or a specific illumination) is specifically requested. For viewing prints: D50 Daylight illumination is generally used (although pressroom requirements may be suited to D65). D50 is the standard used by manufacturers, unless D65 is a specific requirement. For product assessment: a combination of light options is frequently used. The minimum illuminations used are D65 Daylight, TL84 (Store lighting – or CWF in the USA), and Incandescent A – otherwise known as ‘home lighting’. In addition to these, a UV light component can be added if required which are used to assess the UV light influence on optical brighteners (OBAs) and fluorescent pigments within a product. A D50 Daylight source may also be added if a second source is required, meaning you can have both D65 and D50 options available. Multiple light source booths are a little different. With the exception of Incandescent A lighting and UV light, other light sources tend to use the same light fittings. This means that you can essentially replace the fluorescent bulbs or tubing to the illumination you require, a bit like changing the bulb in a lamp to make it brighter. Viewing booths: these are supplied to include the required tubes. It’s worth mentioning that with regular, up to 8 hours a day usage, tubes ought to be changed on an annual basis. We always advise ordering a spare set of replacement bulbs when ordering a viewing booth. So there we go, three steps you can take to determine what viewing solution you need: define what industry you’re in, assess the dimensions of your subject matter and work out what light source you use. In our final Viewing Booth entry, we look at the industry brands and what viewing booth options you have. What brand does what, and which one should you go for? This entry was posted in Lighting, The technical stuff and tagged Light, Viewing Lights on October 7, 2011 by colorconfidence.